Mechanical engineering has a rich history of collaborating with industry, agencies, and academia to bring about novel solutions to pressing challenges. The programs highlighted here represent just a few ongoing efforts. 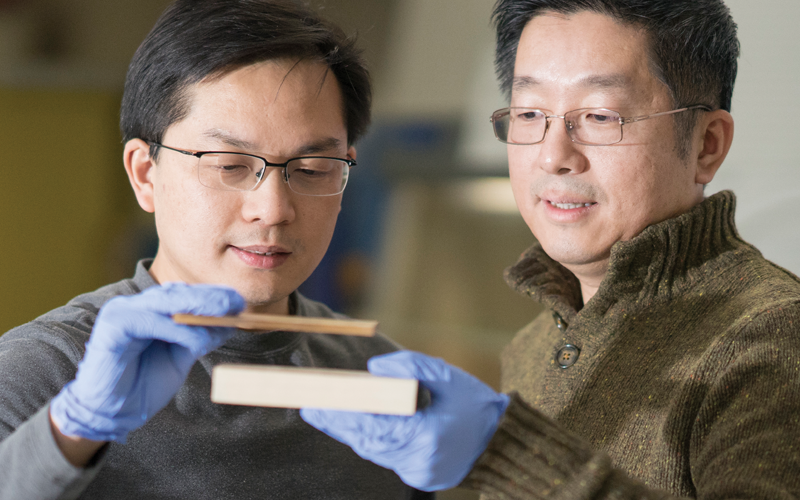 Mechanical engineering associate professor Teng Li (right) and Materials Sciences assistant professor Liangbing Hu (left) have found a way to make wood more than 10 times stronger and tougher than before, creating a natural substance that is stronger than many titanium alloys.